Kevin J Worthen was formally installed as the 13th president of Brigham Young University by President Henry B. Eyring, first counselor in the First Presidency of The Church of Jesus Christ of Latter-day Saints and first vice chairman of the BYU Board of Trustees. BYU is owned and operated by the Church and was established in 1875 in Provo, Utah. 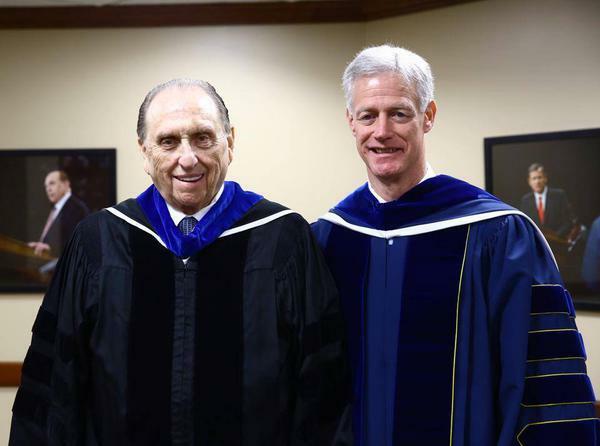 Two other universities and one college are owned and operated by the Church as well: BYU-Hawaii, BYU-Idaho and LDS Business College.